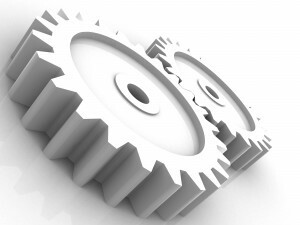 Software testing helps to make sure that the software does what it’s supposed to do which improve the software quality. It’s also a validation process that identify any bugs or missing requirements. Sometimes software testing can fall behind due to a number of reasons, low test case coverage or less effort in manual testing when checking if the software works fine after a code modification or a bug fix. Here is where Automated Testing can come to rescue. 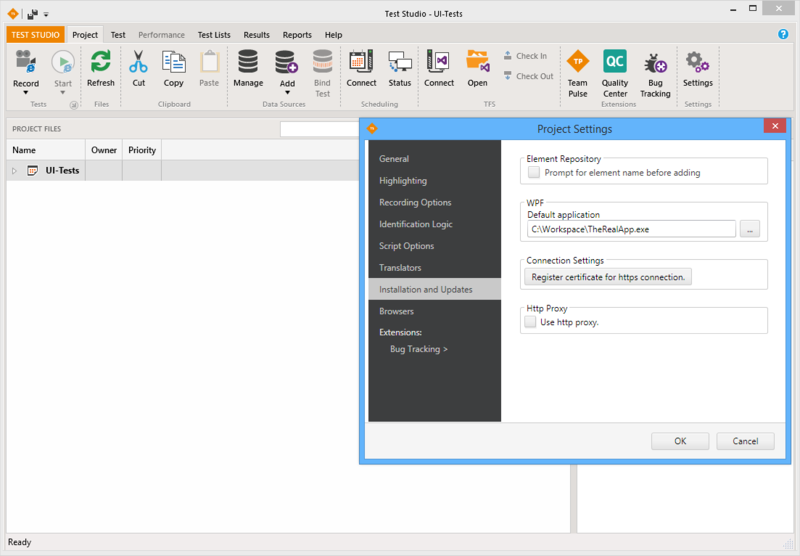 My team has chosen Telerik Test Studio as test automation tool to increase test coverage and to convert some manual tests into automated scripts. By creating a suite of automated tests, we can basically create tests that run just like a QA person might manually run. Because these executing scripts are automated tests, we can run them at the end of every sprint or periodically after each build to check that nothing that was working before is now broken. 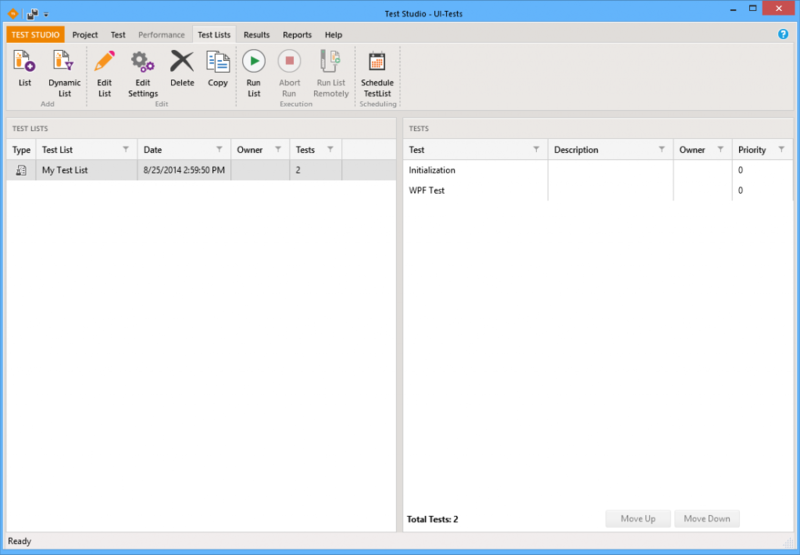 Test Studio is very user friendly test automation tool. It has many feature like UI recording, specialized verification and other test functionalities that require no programming. But that being said, some tasks can be very tricky to solve. The WPF-App started from a ClickOnce shortcut and i couldn’t get the Test Studio UI-Recorder to be attached to it. I posted this issue to Telerik Test Studio Forum and to Stackoverflow. Sadly, I didn’t get any working solution. 1. 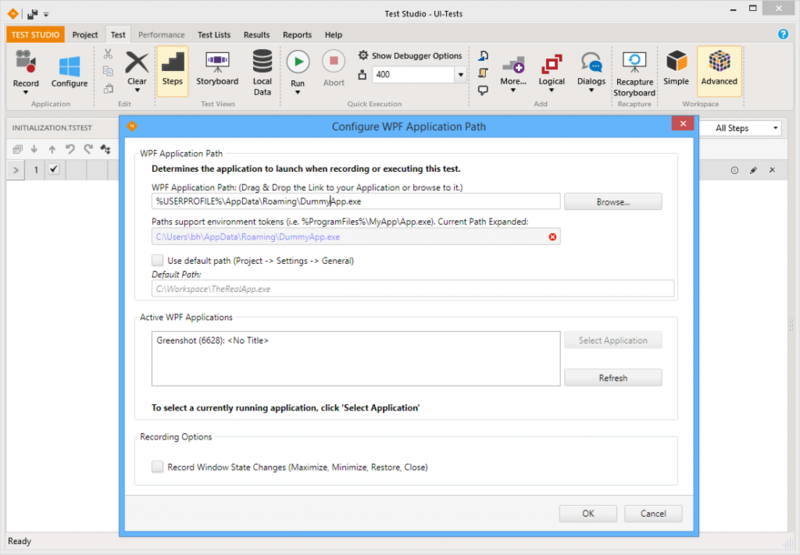 First of all I created a dummy WPF App (DummyApp.exe) to feed Test Studio because you cannot run a WPF Test unless you provide a definite path for the app you want to test. 4. I added a Coded Step to the test. In this Coded step, I defined the logic that will shut down the dummy app, then start and connect to the current version of the real app. 5. 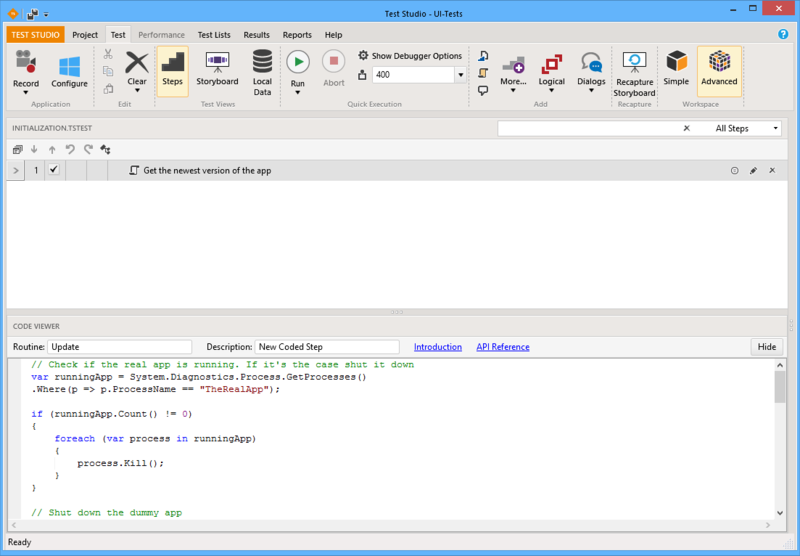 After running the Initialization-Test, I created another WPF-Test that launch the real app and records the steps needed. This Test List run the Initialization-Test first that run and copied the current version of the real app into the specified folder: “C\Workspace“. The second test will execute the steps recorded on it. I hope that this solution will be helpful to someone and will save a much valuable time.